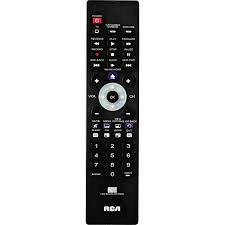 • Make sure the remote is in the correct mode by pressing the corresponding device key (TV, SAT•CBL•DTC, DVD•VCR). This tells the remote which device to operate. • Remove any obstacles between the remote and the device. Make sure you’re aiming the remote at the device’s IR sensor. • Make sure the batteries are fresh and are properly installed. Replace the batteries with two new AAA batteries, if necessary. • If you are testing the remote while programming it, you may be too far away from the device or at a wrong angle. There must be an unobstructed path between the remote and the IR sensor on the device. Move closer and make sure you point the remote at the device you’re trying to control. • If you’re using the Direct Entry programming method to enter the codes for your brand and the unit is still not functioning properly, try the auto, brand, or manual search method. • To control combo units, like TV/VCRs or TV/DVDs, you must program the individual corresponding device keys to control each part of the combo unit. Once programmed successfully, the TV key controls the TV functions, and the DVD•VCR key controls the VCR or DVD functions. • Make sure the batteries are fresh and are properly installed. • Make sure device is ready (for example, the DVD player has a disc loaded). • You may have pressed an invalid key for the mode the remote is in. • If you’re trying to enter a channel number directly, try pressing the ENTER key after entering the channel number as this is a requirement of certain models and brands. 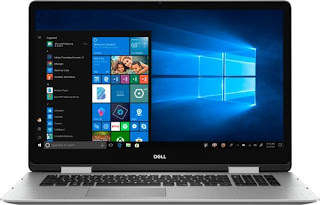 • There is a possibility that a programmed code may only be able to control some of your device features (for example, only turns a device on and off). To confirm that the device key is programmed with the correct code for maximum functionality, test the device. Attempt to control a variety of the device’s functions with the remote. If some of the features of your devices don’t work, try programming the remote with a different code in the list using the Direct Code Entry Method, until you find the code that allows the remote to control the majority of your device’s functions. Different codes can provide different levels of functionality. Problem: The POWER key does not light when you press a key. • Press the ENTER key after you enter a channel number. • Remove any obstacles between the remote and the device. Make sure to aim the remote at the IR sensor on the device. • Menu access isn’t supported for all brands. You may need to use your original remote control to access menu functions for some devices.